Learn How to Make That Most Basic of Japanese Cuisine: Miso Soup. Learn how to make that quintessential component of the Japanese menu -- miso soup, taught by a real-life miso maker in Onsen Town Togura-Kamiyamada. 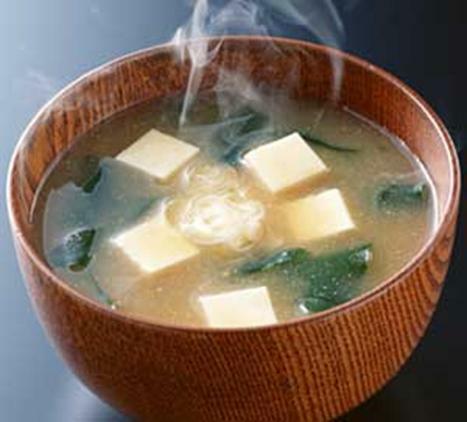 Miso soup is an indispensible part of Japanese cuisine. It is not uncommon to have it for breakfast, lunch and dinner. As such, most visitors to Japan are familiar with miso soup, but how many know how to actually make it? Nakajima-san, the proprietor of "Homare" Brand Nakajima Miso in Onsen Town Togura-Kamiyamada, will give you a quick tour of his miso factory so you can see how miso is mixed and left to ferment for months on end. Then he will take you to the shop and give you a taste of the different grades and types of miso. Finally, he will demonstrate the deceptively simple process to make miso soup. Once you learn how, you too can easily make miso soup at home. 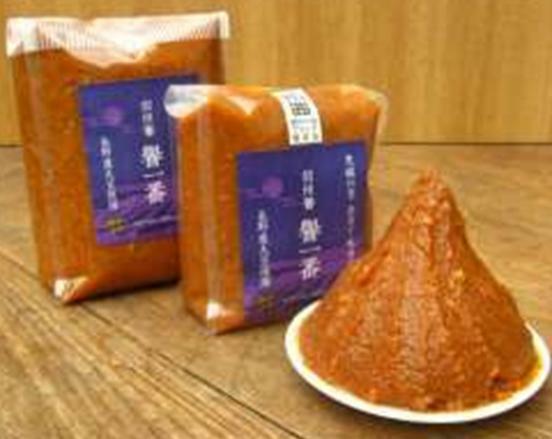 Nagano is Japan's largest grower of soybeans, the main ingredient of miso paste. 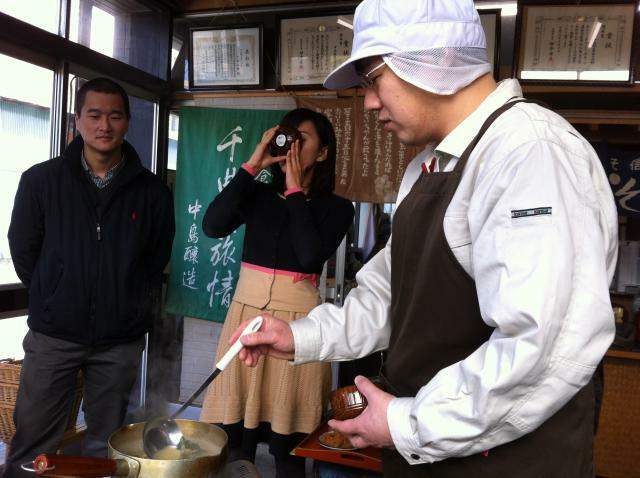 Hence you'll find miso makers in practically every town in Nagano. And Nakajima Miso (Jozo) is the one in Togura-Kamiyamada Onsen. Nakajima-san himself has miso soup pretty much 3 times a day, and is fanatical about sharing his passion for miso. Price includes 500g pack of miso paste to take home with you. Tour of the factory occasionally not possible. Large groups are difficult to accommodate. Due to the technical nature of miso and miso soup making, Japanese-speaker and/or interpretor is required. From Togura Station(Shinano Railway), Walk out to Route 18 ('Togura Station' signal) and turn left. Walk south 250m to the next light ('Togura') and turn right on to Route 55. Continue for 900m crossing the bridge. At the "T", turn left and follow Route 77 for 275m and turn left on to Togura Onsen Hon-dori. In 200m, turn right onto Ginza Dori. Nakajima Miso will be on the left in 70m. From Sakaki IC, Take Route 91 down 1.4km to Route 18 and turn right. Proceed north 5.5km to Route 498 ('Togurakamiyamadaonsen' signal) and turn left. Cross bridge and at the Kamiyamada Bunka Kaikan signal (1km), turn right on to Chuo Dori Street. Proceed northwest 600m to Ginza Dori and turn left. Nakajima Miso will be on the left on 70m.